Ajit is an IIM Calcutta Alumni who once dreamt to become a football player. He says that one day his father showed him a very poor man sitting outside his hut in a very bad condition. He told him that he was once a football player. Convinced that football wont be a good idea for him, he started involved in his studies. But he never wanted to become a doctor or an engineer. He says that when subjects like sociology and psychology were taught in his school, he was always very exited about it. His interests stretched and pushed him to create Rediff.com in 1996. The site was not an instant hit and it ran without any profit for three long years. The site got listed in NASDAQ in 2011. With time the site gained momentum and now it's among the world's top 100 websites. 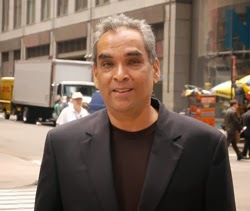 Apart from being an successful internet millionaire, he is currently member of Advisory Board of Education of India, he has also served as the chairman of Government of India in the Ministry of Information Technology Working Group. 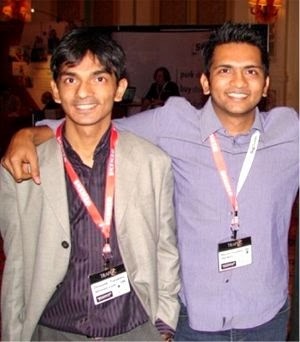 The two brothers, Bhavin Turakhia (born 1979) and younger Divyank Turakhia started their web carrier with founding a Internet Web Hosting company Directi in 1998 with investment of 25 thousand rupees. In 2011, the company grew from 2 employees to 550 employees and it is now worth 350$ million dolloars with offices in major cities in India, China and UAE. Their startups are BigRock, Codechef, ResellerClub, LogicBoxes, Webhosting.info and Talk.to. With so many successful startups and with a great business model, these two brothers are often termed as the best and the youngest Internet Entrepreneurs of India. In 2011, Bhavin Turakhia was named as the Young Global Leader by World Economic Forum. As of 2012, around 10 million domains are hosted on LogicBoxes server and WebHosting.info is known as the best data provider in web service Industry. After finishing his studies in 2006 from Wharton School, he started to work as a business development executive and then as a consultant for launching of a detergent product. This made him understand consumer psychology and behavior. At that time he found that the retail market in india is changing, the customers are becoming more and more complicated and the bargain thing is at high. He planned to launch a business of discount coupons in india with his friend Rohit Bansal, an alumnus of IIT Delhi. He says that the initial days were quite disappointing but then some retailers began to contact him and that boosted his confidence. With this Snapdeal was created in Feb 2010 which sucked at first. Kunal says that they made a lot of mistakes but the best part was that they learned from their mistakes and kept tracking their customers behavior and preferences. This kept them moving forward with their startup. With time Snapdeal began gaining visitors and buyers. Passed out from St. Stephen's College (University Of Delhi) with a B.A in Economics, Sanjeev Bikhchandani did his MBA from IIM Ahmadabad. Sanjeev quit his job of marketing Horlicks to setup Info Edge in 1990. Info Edge runs sites like Naukri.com, 99acres.com, Shiksha.com, Jeevansathi.com, and many more. Naukri.com being the most successful of all the startups, was the first internet company in india to be listed in the Indian Stock Exchange. It employs more than 2000 peoples and has revenue over 2500 million. He saw his colleagues always looking at the jobs section of Business India magazine, which triggered the formation of Naukri.com. But before he did it on internet, he tried many methods like selling resumes on Cd's and making a offline job database. 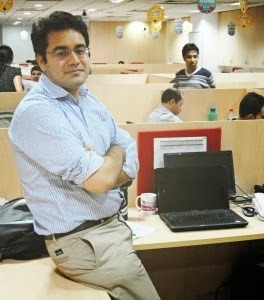 Read the whole story on how he founded Naukri.com and how it become a hit. Seeing a marriage broker who had a routine of going door to door to show people the right matches for marriage, Anupam Mittal thought that an internet web portal would do wonders in finding the right partner for marriage as it would be easier to have a larger database for selection than the traditional marriage broker have with them. He founded Shaadi.com in 1996 and since then he never looked back. It is the world's largest matrimonial site which claims to have arranged more than 2 million marriages in india. With above 10 million members on the site, it's no surprise that Shaadi.com has been voted as "Most Innovative Company In India" in 2011 by Fast Company. Anupam Mittal has a MBA degree from Boston College and this guy is included in Business Week's 50 Most Powerful People in India. He also has startups like Makaan.com, People Pictures and Mauj Mobile under his name. Unlike the other entrepreneur, Vss Mani was neither an IIT nor an IIM alumni. Belonging to a middle class family, he dropped his CA Studies to launch JustDial. The idea to start JustDial came in mani's mind when he was working in UDI (United database India) in 1987. He thought that if this database of valuable information could be made available through phone and through web, it will prove to be very helpful for users. Luckily, he came to know of the number 088 888 88 888, which he thought would be very easy to remember. After all this preparation, the company could still not be started because he did not had enough money to buy a telephone. Telephone connection at that time cost Rs 15,000. Oh yes, you heard it, fifteen thousand rupees. The company got started in 1996 and since then it's only marching forward. In 2007, he started online database portal which gave Justdial the wings to fly. Started with only six employees, as of 2013, it has more than seven thousand employees and a database of over 10 million information pieces. 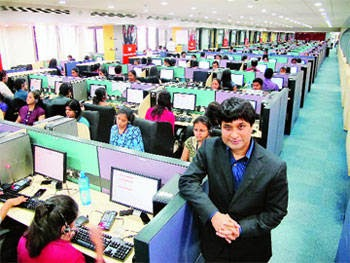 Starting with borrowed furniture and rented computers, Justdial's total revenue crossed 2 thousand million in 2012. An alumni of NIT Tiruchirapally, Satya Prabhakar growed his website Sulekha.com from 2 employees to 1000 employees in very few years. Although being selected in all the four top IIM's, he went on to get a MS in Computer Science from University of Florida. Sulekha is local search platform that adds value to search with it's integrated services like blogs, reviews and answers. It is now the number one site in India for local search and business with more than 5 million connections and business transitions in a month. In 1990s, he used to receive emails from members of his IIM alumni group who used to send articles written by them on anything they find interesting or worth sharing with the members of the group. Satya thought that he should integrate this idea from group members to public. 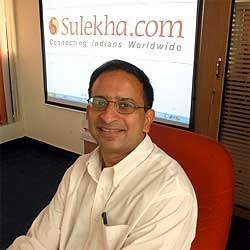 He registered the site Sulekha.com and started his journey to become an internet millionaire. In Oneindia.in, Mahesh added everything he could, from wallpapers to jobs, from news to travel. 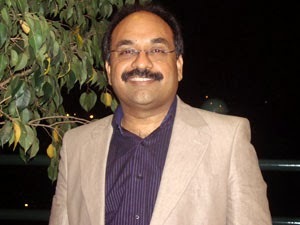 Mahesh has been active in the web world since 1990s and that helped him easily dominate the Indian web space. 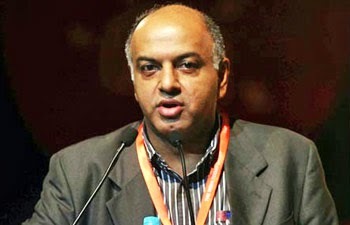 He has been named 75th in powerful digital mavens of India list of 2012 by Impact magazine.